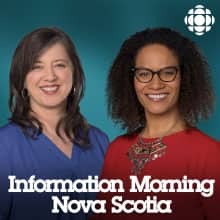 Information Morning kick starts the day on mainland Nova Scotia with news, survival information, compelling stories and opinions from all perspectives in the province. Church can be complicated for some members of the LGBTQ community. The CBC's Emma Smith tells us about a group called "Generous Space" that offers an alternative for queer Christians. Justice Minister Mark Furey declared a moratorium on street checks yesterday. Robert Wright is a member of the African Nova Scotian Decade for People of African Descent Coalition. He was one of several people who walked out of a working group on street checks, assembled by Minister Furey last week. How we as patients can help reduce burnout among our health care providers. Mary Jane Hampton has more. Nova Scotia's moratorium on new fish farms has been lifted and international companies are spying opportunities here. The CBC's Paul Withers looks at the issue from a couple of angles. International students make up an increasing proportion of the university student population in Atlantic Canada. A CBC News Investigation has revealed how much universities are paying to help get them here. The CBC's Moira Donovan has the details. The French ambassador to Canada was in Halifax to name Chris Elson a Knight of the Order of the Palmes Academique. Two European businesses have a salty taste in their mouth after doing business with a Nova Scotia seafood broker. And they're taking online action to share their story. The CBC's Jack Julian has more. The RCMP has enforced a court injunction against Mi'kmaw activists at the Alton Gas site. Officers arrested three women and police temporarily blocked the road to the company's construction site. Cheryl Maloney is a political science professor from Sipekne'katik First Nation. Margaret Miller is Nova Scotia's Minister of Environment. Professor Michael Benza says street checks can be an effective policing tool, but it's unlikely when police randomly stop innocent people. Lots of people like to fish mackerel in the summer, but DFO says the stocks are in serious decline. The CBC's Paul Withers has more. Nurses say there is too much overtime in their work. And they say it is stressful and dangerous. Tim Guest is Vice-President of Health Services and Chief Nurse Executive for the Nova Scotia Health Authority. Our A for Adventure team have issued a one bag challenge to help clean up the trails. They're asking all of us to pick up trash as we're out and about on local trails. A shortage of anesthesiologists in Yarmouth means patients now have to wait for non-emergency surgeries. Chris d'Entremont is the MLA for the area. Cheryl Pugh is the medical executive director co-lead for the Western Zone of the Nova Scotia Health Authority. Before you choose a new healthcare provider - one you're paying for - Mary Jane Hampton says check them out. Do your homework when looking for an unregulated healthcare provider. How a car maker's defect led to a big headache for one family. The CBC's Yvonne Colbert has the story. Some people say when it comes to clear cuts on crown land the province isn't giving the public the whole picture. Information Morning's Phlis McGregor has more. Stranger than fiction? We hear the tale that beggars belief about a Dartmouth man whose father disappeared under murky circumstances and how they reconnected on another continent. Pauline Dakin has the story. A CBC News Investigation takes us behind the scenes of the health authority's decision to scrap the Welcome to Parenting website. The CBC's Emma Smith has more. Nova Scotia is known for its natural beauty. But travel writers are saying that without a moratorium on clearcutting, the province's wilderness won't be a selling point for long. Helen Earley is the Chair of the Travel Media Association of Canada - Atlantic Chapter. Zack Metcalf is a freelance journalist, columnist and author. What happens when people skip their doctor's appointments and the effect that has on the whole system. Health care columnist Mary Jane Hampton tells us. The province says it needs more information to make a decision about Northern Pulp's effluent plan, The miss says it needs more time. The Chief of Pictou Landing First Nation talks about the latest developments. The CBC's Elizabeth McMillan looks into why massage therapy is unregulated in this province. The Wortley report this week said that street checks are questionable, at best, as a way to fight crime. It also pointed out that a number of people in the African Nova Scotian community believe that street checks are outright illegal. Our legal columnist Wayne MacKay takes a look at street checks. Justice Minister Mark Furey has directed police across the province to stop using street checks as a performance tool or as part of a quota system. Mark Furey speaks with Portia Clark. An independent report on Halifax Regional Police street checks recommends either banning or changing the practice. The author of the report finds that Black people in Halifax are 6 times more likely to be subjected to police street checks than white people. Later this morning the long awaited report on racial profiling and police street checks will be released. We speak with three men who've experienced the practice first hand and who want to see change. Changes to the booking system for provincial campsites should make things easier this year. Our A for Adventure team says don't let last year's experience deter you from summer fun. The Lahey report could mean a big drop in clearcutting. We ask Bill Lahey when is clear cutting a good idea, ecologically. The intriguing story of a Nova Scotia school superintendent from more than 100 years ago, the observations he asked local kids to make...and how that data is being used by climate scientists now. The CBC's Shaina Luck tells us more. The Nova Scotia Cricket Association is featured in an exhibit at the Pier 21 Immigration museum. Amit Joshi is president of the Nova Scotia Cricket Association. Andrew Irving is vice president. Some people in Shelburne County want a moratorium on clear cutting. Minister of Lands and Forestry Iain Rankin responds. We heard about a new way of getting to work for people in the Spryfield-Herring Cove area. More than a thousand people have signed a letter to the Minister of Lands and Forestry. They're calling for a halt to clear-cutting on Shelburne County's crown land. We speak with Carmen Williams. A Nova Scotia woman says she was a victim an an alleged fraudster and she's warning others to be wary. And she says she has spoken with several other alleged victims. Andrea Speranza tells her story. There's been an outpouring of support in the last week for lung transplant patients from our region. Since we broadcast Natalie Jarvis's situation, people have been sending money, food and even offering rooms in their homes for her and others who have to go to Toronto to wait for a match. The CBC's Carolyn Ray has the update. Road to nowhere ... we hear about some local travellers who've been trying to get their money back for tours they paid for but never took. The CBC's Yvonne Colbert has their story. Geologists are still waiting on money to properly survey the large sinkhole that appeared last summer. But there's now another depression near the Trans-Canada Highway at Oxford that people are getting worried about. Mike Johnson is the Regional Emergency Management Coordinator for Cumberland County. Advocates in Nova Scotia are pleading for better supports for families who are struggling with mental illness. Last week on the program, we heard the story of Russ and Yanna Conway. Their 24-year-old son Garrett took his own life last year ... hours after being released from a Halifax hospital. To find out how and what decisions are made when a patient arrives at the ER, we turned to the Halifax Infirmary. Dr. Samir Bhalla is an emergency psychiatrist. Dr. Sam Campbell is chief of the hospital's emergency department. Yesterday reporter Carolyn Ray explored a grim choice. Some are choosing palliative care over a lung transplant because they cannot afford to wait on stand-by in Toronto. But an incredible piece of technology is hoping to help people get a transplant closer to home. A little over two years ago Faqiri died in an Ontario jail, after he'd been put in solitary confinement. An eye witness said a half-dozen guards were responsible for his death, but police said there were no grounds to lay charges. His family is now suing the Province of Ontario, its correctional services, and the individual guards. His brother, Yusuf Faqiri, is in Halifax to give a talk tonight as part of a national tour. Most patients in Nova Scotia who require a lung transplant have to travel out of province - and put up a lot of money waiting for a match. Some are choosing palliative care instead, as CBC Reporter Carolyn Ray explains. Our A for Adventure team of Jan and Chris shares their tips for making sure this years March Break is super fun and adventurous! Mary Jane Hampton gives us some essential information on ambulance rides. Many Canadians think the conscripted soldiers who fought in the First World War were lazy or self-centred. Colonel Patrick Dennis has a very different opinion. He's the author of book that honours those soldiers. Upping the age for when women should start getting pap tests. The CBC's Elizabeth McMillan tells us about the changes to the guidelines for cervical cancer screenings. A CBC News Investigation has found that workers' compensation is slowly opening up to the idea of cannabis. For one Nova Scotia woman, getting cannabis approved through WCB has been a long battle. The CBC's Angela MacIvor has more. Two disabilities studies scholars tell us why they think a recent Human Rights Commission decision was flawed. We spoke with Halifax Mayor Mike Savage about the difficulty people are having this week on the sidewalks and bike paths of the city. Parents of a 24 year old man who walked out of a Halifax hospital in 2018 and took his own life is pleading for better mental health services for families struggling with mental illness. A petition calling for an inquiry into the hiring practices of mental health directors at the health authority was presented at Province House. People have been taking to social media to voice their complaints about sidewalk clearing in Halifax. Shawn Cleary is the councillor for District 9. Sometimes people travel specifically to get medical treatment out of province, and that brings its own set of concerns. Mary Jane Hampton looks at that. Reporter David Burke has this look at what police are doing to battle the growing problem. CBC Reporter Chris Glover was doing a live TV hit in Toronto when Comedian Boyd Banks began kissing and licking him. Many people say Banks should be charged with sexual assault. Wayne MacKay is Information Morning's legal columnist. Who knew something as small as a wood chip would have such a huge impact on an industry? As we've heard, many people who work in Nova Scotia's forest industry say their jobs will be in jeopardy if the Northern Pulp Mill closes. The company buys wood chips from the province's sawmills. If there's no market for the wood chips, many sawmill owners say they'll struggle to survive. And they say it will lead to job losses for truckers and wood harvesters. But there IS another pulp mill in the province. Earlier this week, Port Hawkesbury Paper confirmed ITS pulpwood supply is low. And they've had to buy wood and wood chips from New Brunswick and Quebec. Jeff Bishop is the executive director of Forest Nova Scotia. Download Who knew something as small as a wood chip would have such a huge impact on an industry? Four members of a Cape Breton family are headed to court on charges of tax fraud. The CRA says they not only fabricated their sales numbers, even the street names for companies they purported to do business with don't exist. The CBC's Richard Cuthbertson has more. From street checks to hiring practices, when it comes to race relations, municipalities in Nova Scotia have a ways to go. A group of black professionals and politicians will get together to talk about race relations in municipal governments in Nova Scotia. It took years for the South Shore to get a bus service to a Halifax, so why are so few people catching a ride? Our A for Adventure team are showing new Canadians how to have fun outside in the wintertime. Travelling out of province or maybe out of the country? We have some healthcare hacks that could save you a lot of money if you have a healthcare emergency while you are there. Mary Jane Hampton has the details. Archaeologists working at Province House have made an unexpected discovery. The CBC's Jean Laroche has the details. An environmental lawyer shares new information about Northern Pulp's proposal to send treated effluent into the Northumberland Strait. Jamie Simpson is an environmental lawyer in Halifax. Premier Stephen McNeil talks about the concerns people have surrounding Northern Pulp. Many people are asking the federal government to conduct its own environmental assessment of Northern Pulp's proposed new treatment facility to replace the one at Boat Harbour. Sean Fraser is MP for the riding of Central Nova. Information Morning's Portia Clark broadcasts a special program from the deCoste Centre in Pictou. In the information age, one constant problem we face is getting the wrong information. Some people deliberately spread misinformation and often, too many of us believe it. Healthcare columnist Mary Jane Hampton has more. Groups from Autism Nova Scotia meet regularly at Cape and Cowl Comics in Lower Sackville to play Dungeons and Dragons, the fantasy role playing game. Information Morning's Jerry West stopped by recently, to check out the carnage. We take a tour of the Northern Pulp Mill in Pictou County to find out how kraft pulp is made, and how the company treats its waste water at Boat Harbour. Later. Information Morning's Phlis McGregor takes us there. An organization that rates seafood sustainability, MSC, has dropped Clearwater's off-shore lobster fishery from its list of recommended fisheries. CBC Reporter Paul Withers explains. One man's mission to get answers from one of the country's largest charities. A vlounteer is raising questions about how the charity dealt with missing money. The CBC's Yvonne Colbert tells us about a very determined volunteer. Canada's former justice minister says she can't comment on the SNC Lavalin case because of solicitor-client priviledge. Our legal columnist Wayne MacKay tells us more. Changing the game; a local researcher points to a link between sports culture and sexualized violence. And has some suggestions for what to do about it. Our political columnist Brian Flinn combs through what the Premier and the opposition are saying about secrecy and freedom of information. Behind every great surgeon is another important and often overlooked member of the surgical team. Mary Jane Hampton tells us why it's a good idea for you to speak with your anesthetist before going under. Freedom of Information and the refusal to release. Premier Stephen McNeil explains why his government is fighting the release of information about the CAT Ferry. Too tippy to be at sea? A CBC Investigation points to problems with the 'hero' class of Coast Guard Vessels. The CBC's Paul Withers tells us more. Music fans were saddened to hear recently that Robbie Smith of the duo, Naming the Twins, is terminally ill. The news hit especially hard in Shelburne, which is home to Smith and his musical partner Kathleen Glauser. Louise Lindsay is Information morning's community contact there. Another scandal in the Catholic Church, as the Pope admits nuns are abused at the hands of priests. We hear some thoughts on going forward from a Sister of St Martha. Pitching a more palatable price tag for a CFL stadium. We speak with Anthony LeBlanc a member of the Atlantic Schooners group about shaving $50 million off its stadium proposal for Halifax. Three months after Audrey Parker's death,a new petition calls on government to pass Auds Amendment. S is for Social Media - and whether to post while enjoying the great outdoors. Our A for Adventure team talk about lessons learned doing 100 days of adventure for the second time. Navigating one of the most confusing times of life. Mary Jane Hampton tells us the best way to get home care services when you need them. If you collect PC Optimum points, you might want to check your balance. The CBC's Yvonne Colbert tells us how some people have seen their accounts emptied out. After 40 years in the legal profession, Chief Justice Michael MacDonald is retiring. Researchers have created a road map for determining how a development project will affect climate change. For 18 years, Audrey Mayes never lost hope that she'd find her way back home. The Mi'kmaw woman from Sipekne'katik tells the story of her tearful reunion with her family. A survivor of the Sixties Scoop tells us what it was like to be separated from her Mi'kmaw community for 18 years. Audrey Mayes never lost hope that she would find her way home. Halifax police are performing fewer street checks, but visible minorities are still disproportionally targeted. The CBC's Jack Julian has the details. How to complain about health care in a way that will be heard. Mary Jane Hampton says don't start with the Health Minister. The family of Donnie Taylor allege palliative care staff left him without oxygen for 13 hours and caused him to suffer. They blame the Truro hospital for what they call his "hastened" death. The CBC's Angela MacIvor has more. Some municipal officials are voting to raise their salaries, even though they won't be taking home more money. The CBC's Pam Berman explains what's happening and why. Why criminal charges involving teachers harming students occupy a special place in the legal world. Our legal expert Wayne MacKay says it's all about trust. Collateral damage ... Canada and its economy are being buffeted by forces beyond our control. Three of Canada's big thinkers on trade are in Halifax for a conference today. They are here to talk Trump, China, Brexit and how our economy is going to survive it all. S is for snow shoes and H is for hike. Our A for Adventure team talk about their top snow shoe hikes in the province. A cautionary tale in this Healthcare Hack. Mary Jane Hampton tells us why you can trust your gut when it comes to your family and the health care system. The case of former child refugee Abdoul Abdi has led to changes in how Nova Scotia treats children in care. The CBC's Shaina Luck has more. In Canada, everyone is supposed to be equal before and under the law. In practice, many people face obstacles getting access to justice. A new institute in Nova Scotia will try to tackle some of those barriers. Ilana Luther is the executive director of the Access to Justice and Law Reform Institute of Nova Scotia. One story about the devastating effect of gun violence and how a local judge used a sentencing hearing to issue a call to action. The CBC's Elizabeth Chiu has more.